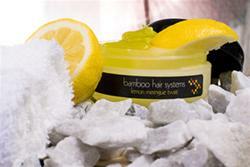 A lightweight, but firm holding gel, with the delightful scent of lemons. A non-flaking formula with olive oil for nourishment, conditioning, and it helps improves hair strength. Great for twisting locs, natural hair styles and flyaway hair. Our Gel comes in 4oz, 8oz, larger sizes available at wholesale prices please call for info.